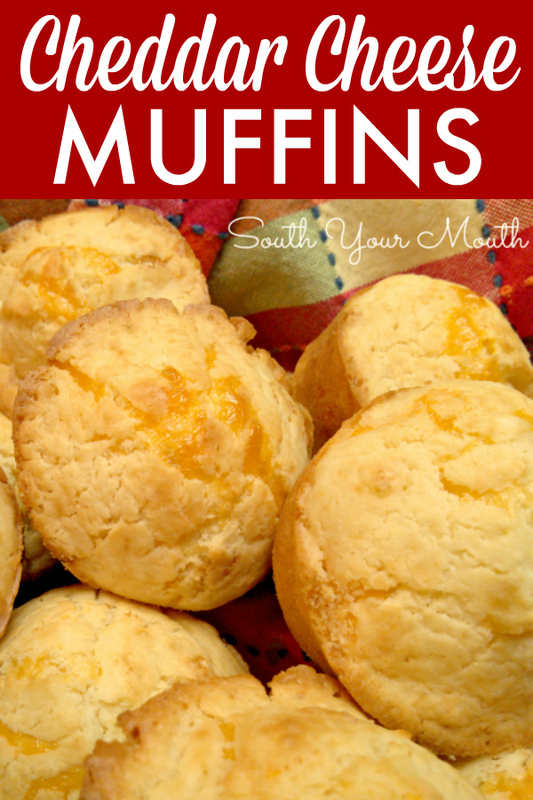 Light, fluffy, EASY homemade cheddar cheese muffins perfect for serving hot, fresh bread with any meal. I've mentioned before that one of my deepest, darkest secrets is that I can’t make biscuits. It’s actually pretty funny and everyone gets a good laugh out of it (hahahaha Mandy, that’s SO funny!) except it’s not funny because I love biscuits and I'm known for being a good cook. 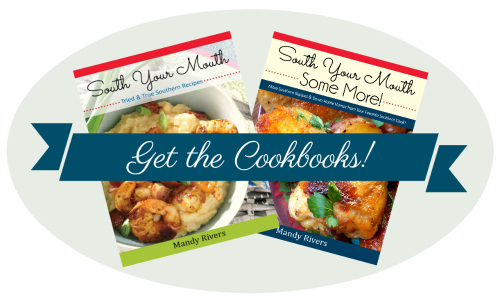 A good SOUTHERN cook. Who can't make biscuits. I can make drop biscuits like Nanny always made but I overwork the dough when I try to make regular biscuits. 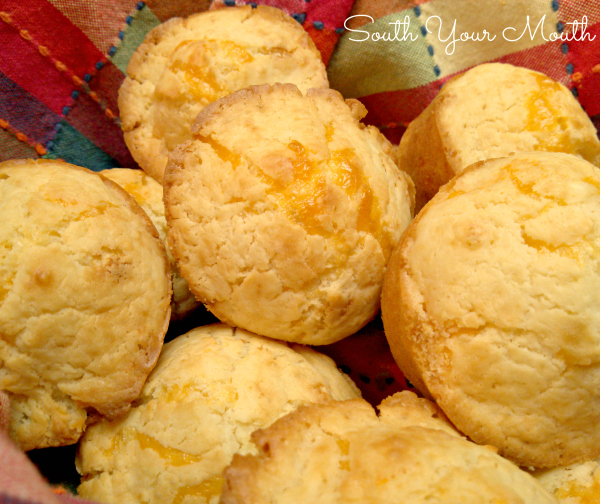 One of these days I'm going to set some time aside to figure this thing out but until then I'll just stick to my drop biscuits and recipes like this one! Because I'm challenged in the ways of bread-making, I LOVE recipes like this one! This is a scratch-made quick-bread that you can whip up in minutes. Because some meals deserve fresh baked bread! This is another of Mama’s recipes. These are light and fluffy and cheesy and really pretty unique. I tried to jazz them up once and added garlic but I forgot about the sugar that’s in them and… well, garlic and sugar do not go together (at least not in this recipe!). So, don’t what I did. One of these days I’m going to learn not to munk around with my mama’s recipes. Combine flour, baking powder, salt and sugar in a medium-large bowl then stir to incorporate. Add cheese then stir to combine. In a separate bowl, combine egg, milk and butter and mix well. Add egg mixture to flour mixture then stir until just combined. Spoon mixture into a greased muffin tin, filling each muffin about 2/3 full. Bake at 400 degrees for 20-25 minutes or until toothpick inserted in the center comes out clean.